Interesting material but the title is wrong. 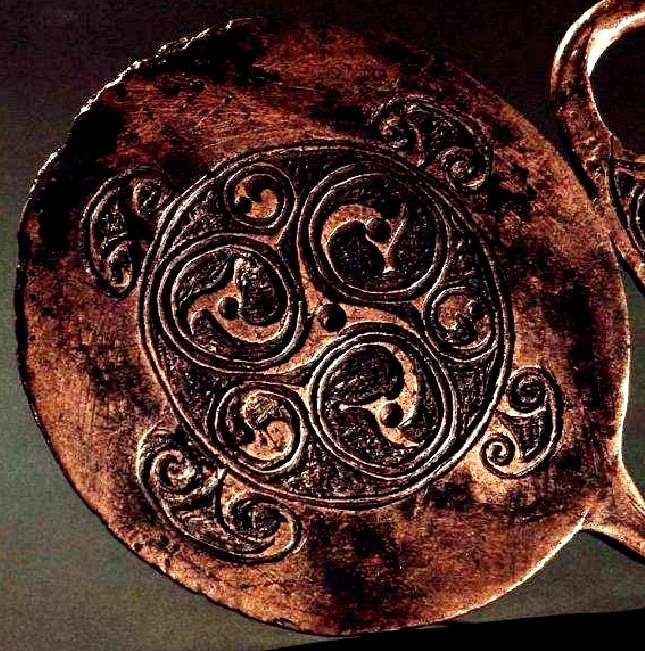 In Modern Irish the word triscéil is used for the triskelion. There’s nothing wrong with using tríbhís (=three spirals) but it would be AN TRÍBHÍS MHÓR because of what’s known as the DeNTaLS rule. You don’t aspirate in many circumstances where the DeNTaLS letters come together, as here. Also the accent is always acute in Irish, always grave in Scottish Gaelic, so the mixture here just looks wrong.